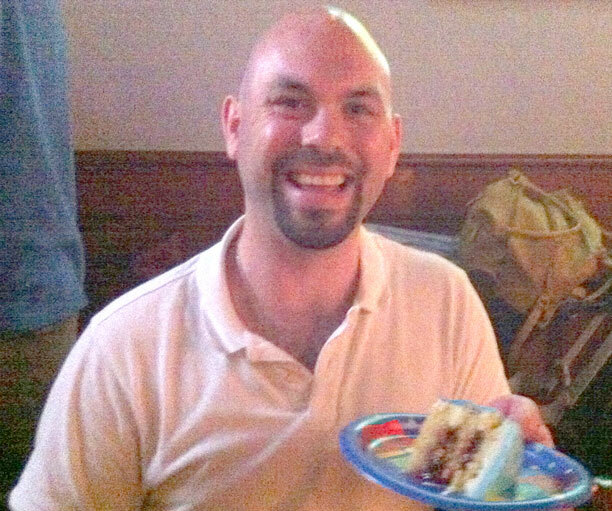 For my friend Shawn’s birthday cake I was told 3 things: vanilla cake, fruit center and he likes blue. So I decided now was the time to try out this buttercream ombre effect. It’s pretty easy to do. Using a piping bag with no tip, cut a large hole. Pipe one large ring around the cake in your darkest color on the bottom. 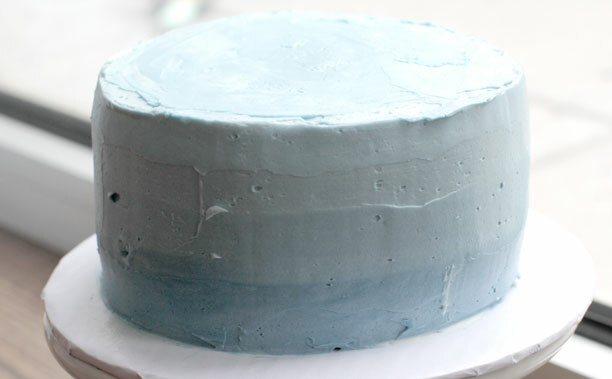 Then lighten up that buttercream by adding in some white and pipe another ring higher up the cake. Repeat until you reach the top. 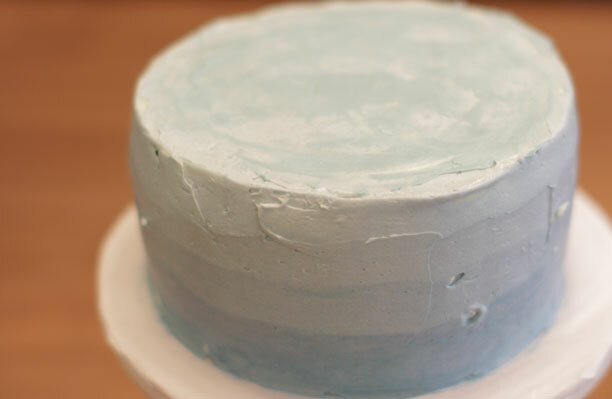 Once all the rings are piped, use a straight edge spatula to flatten out that buttercream and it will organically create this lovely ombre effect. I was really happy with this cake but next time I may make more of a contrast from the darkest color to the lightest. The cake was vanilla butter cake with raspberry jam on the inside (yum!). Sorry about the pictures – we lost a card with photos on it so most of these are from the iPhone.